Several years ago, I invited some friends to eat lunch at my house before we went to a bridal shower. Because time was limited, I wanted to prepare something that would be ready when everyone arrived. 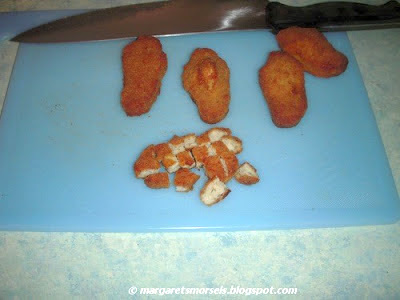 I decided to make one of my favorite restaurant entrees, Chicken Tender Salad. 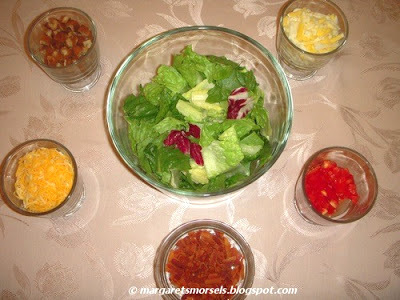 I modeled my version after the restaurant salad, but you can pick and choose the ingredients to suit your taste. Start by choosing the salad greens. Using more than one variety allows for a contrast of taste and color. I like to use a combination of romaine and radicchio. The romaine has a sweet taste and adds crunch to the salad. 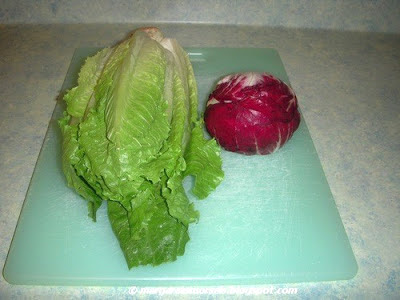 The red radicchio makes a pretty contrast with the green romaine while adding a slightly bitter taste. 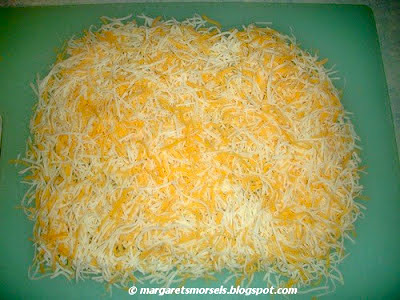 Normally, I'm a fan of Cheddar cheese, but I prefer Colby Monterey Jack in this salad for two reasons. One, it has a milder flavor. Two, the yellow and white combination creates a nice marbled effect. 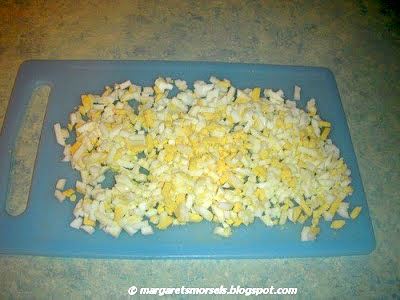 Since most of the ingredients are soft, it's nice to include something crunchy for the top. 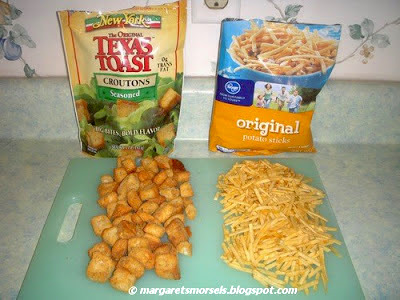 Two good choices are croutons or shoestring potato sticks. To save time, I put all the salad ingredients in separate bowls and let everyone fix their own plate. That way, each person could select as much or as little of each topping as they wanted. Add some bread and a variety of salad dressings and you've got a luncheon that ladies -- and men -- would enjoy. wow! You've created a #delish #Chopped, #saladbar #meal for your #friends! 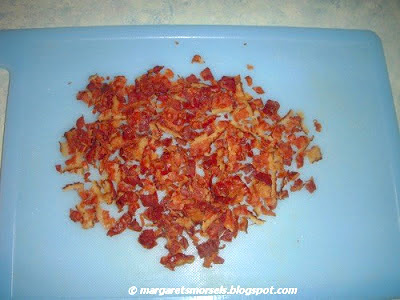 #Chicken, #Tenders, #dressing, #tomatoes, #Bacon. #Healthful way to #entertain! Thanks, KC! I like to keep it simple when I entertain. 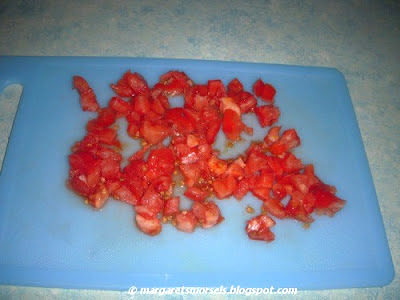 This recipe falls into that category since everyone can pick and choose what they want to put on their salad! Looks like a wonderful event. I love lunch parties a lot. We hosted a weekend lunch party on my 24th birthday and it was just an amazing family party. Now planning a surprise party for my dad's birthday.